From a 11 strong set of ‘Menagerie’ cards. 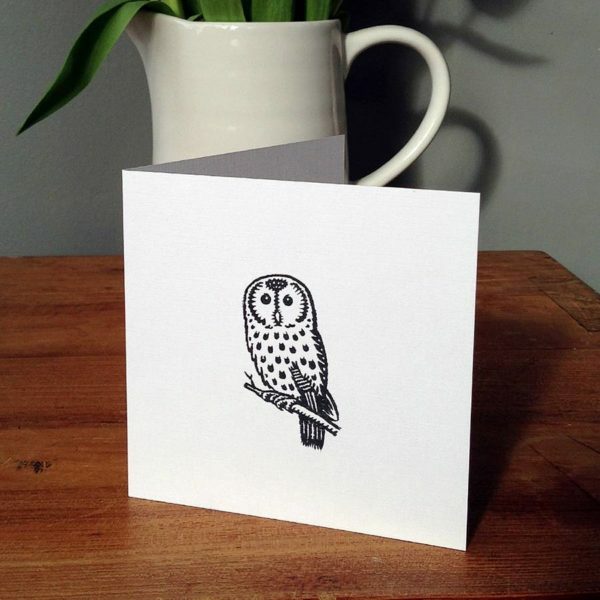 A lovely inquisitive-looking owl, based on the British Tawny Owl. Printed on 300gsm Callisto pearl uncoated card. Cellophane wrapped with a Kraft brown flecked recycled envelope. Designed, drawn and printed in Kent. Know someone wise? With a love for British wildlife? Then this is just the card. There are 10 more cards in this range.